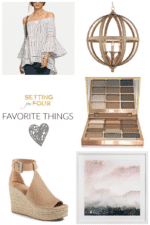 It’s time for Favorite Things Friday – the NEW SERIES I started this month! I really glad you enjoyed my FTF #1 post – so glad you enjoyed it! Favorite Things Friday is all about the random things that captured my attention and stole my heart over the past week! 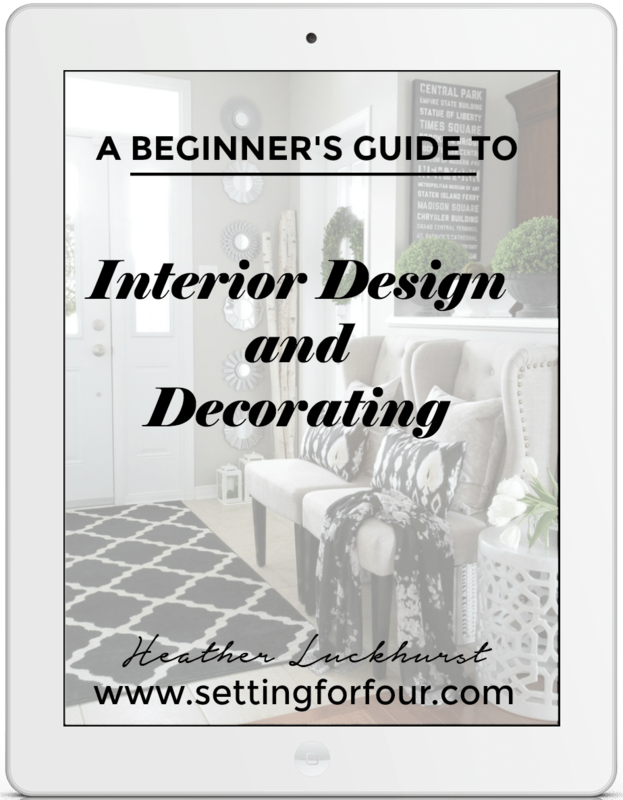 From decor to DIY, fashion, makeup and recipes! I hope it gives you some fun inspiration for the weekend ahead! 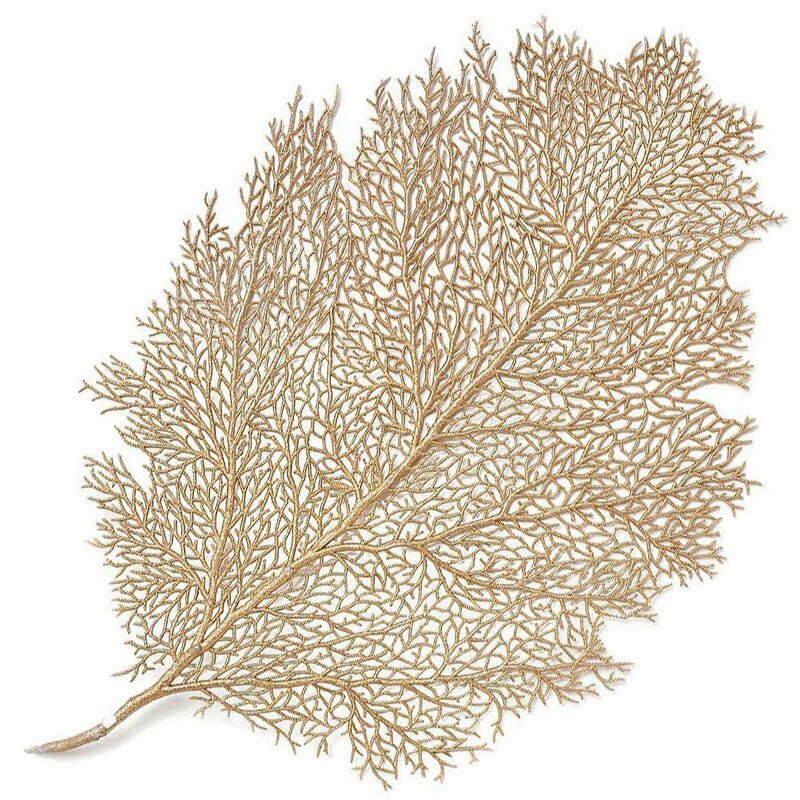 Gold Metallic Leaf Placemat – these placemats are GORGEOUS! I just bought 4 of them for our table (I’ll be showing you them next week in a tablescape post – stay tuned!) and I love that they easily wipe clean and have a beautiful gold glimmer! These will really perk up your everyday white dishes for your holiday table and go with colored dishes too all year long! Pick some up and give your table a whole new look! 2. Christmas Tree Collar – Yes I have been thinking about Christmas this past week! Holiday decor is out in the stores already – and you know what? I’m super excited about Christmas this year! Well….I just love Christmas! 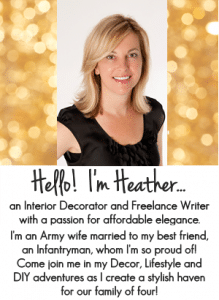 For me as a military wife who has spent many Christmas’s in midst of deployments – with hubby away overseas – Christmas alone with our boys and certainly Christsmas’s with handsome hubby by our side – brings such beautiful memories for me! 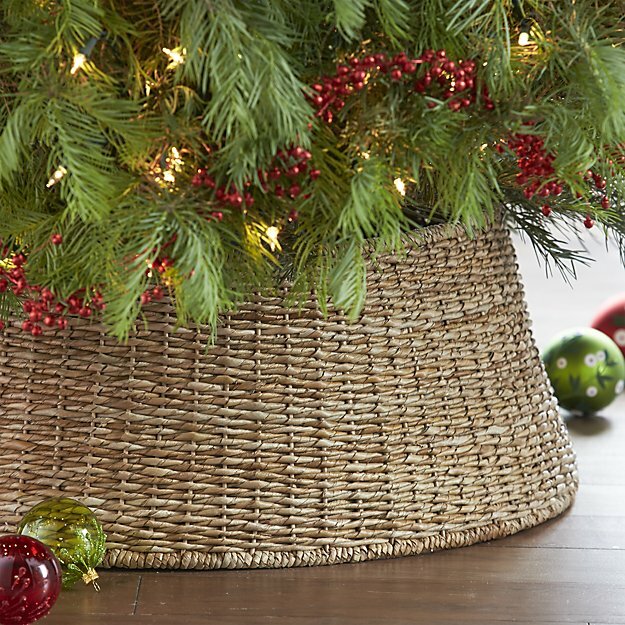 This handwoven abaca fiber Christmas tree collar is an easy stylish update to the tree skirt and I love the texture and natural look of it! 3. Invisiblur Skin Care SPF 30 – I just bought this skincare and LOVE how silky it feels on my face and neck! This stuff goes a long way too. If you have dry skin, a few laugh lines that you’d like to minimize like me (this product actually blurs, corrects and fights the signs of aging! Hello!). It’s an anti aging treatment, primer and protective sunscreen all in one. I love that it has a high SPF of 30 in it ( I’m alllll about sunscreen these days) and it doesn’t feel like a sunscreen at all. 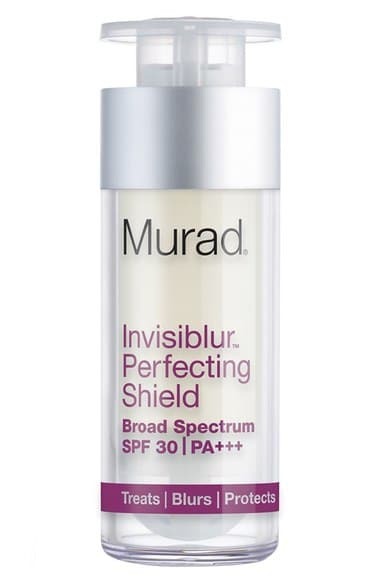 It’s literally a perfecting shield for your face, neck and chest. No heavy, greasy feel. I’m swearing by this stuff! 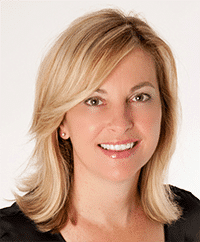 Ladies – this skin care will really blow your mind – it did for me! Plus right now you get a FREE beauty gift with purchase(3 deluxe skincare samples in a cosmetics bag)! That you can keep or give as a gift for the holidays! Bonus!! 4. 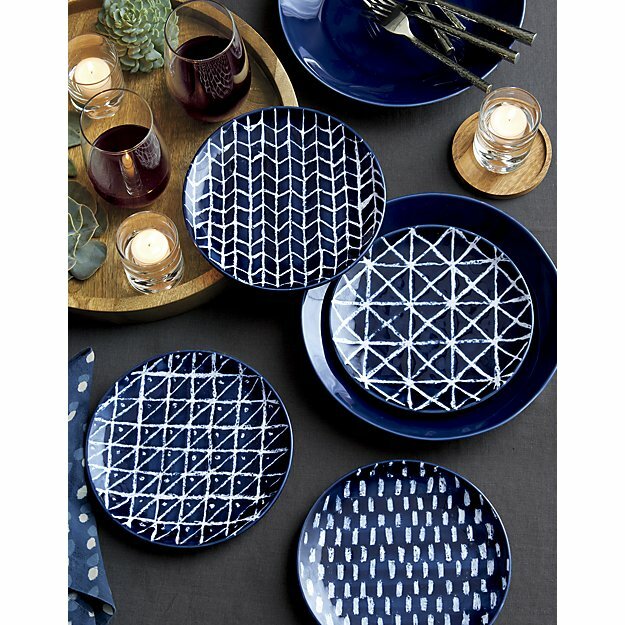 Indigo Blue Plates – Yep – I’m crushing on all things indigo right now! I saw these plates at the Crate and Barrel blogger event I was at in New York City a few weeks ago and am buying these to update our everyday white dishes! 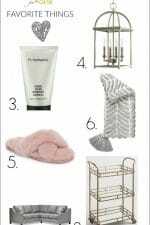 The geometric pattern, gorgeous rich blue looks fabulous paired with woven abaca placemats, dark brown tables, gray placemats and all metallics – rose gold (I’m also crushing heavily on this rose gold flatware set) copper, gold and silver. 5. 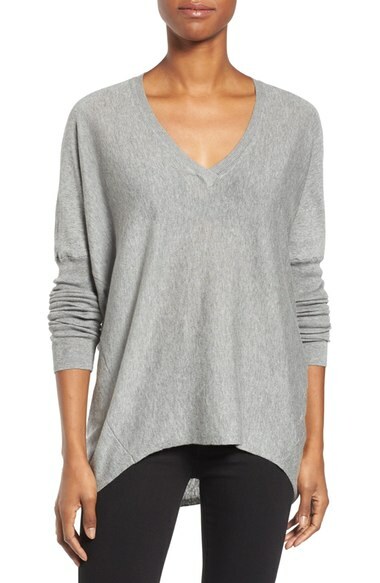 Heather Gray Slouchy Sweater: I LIVE in sweaters in the winter – it gets so cold here! I despise sweaters that are too tight and too itchy! I always grab a few new sweaters every fall and this one caught my eye with it’s gorgeous gray color (you know I love my grays!) and it’s slouchy shape. It’s just total yum. 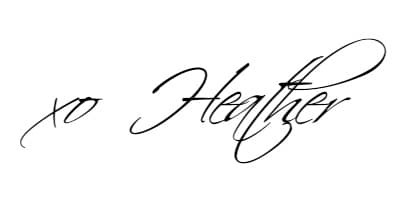 I’ll be wearing this around the house with my black leggings, with skinny jeans and riding boots to the grocery store and layered with a white t shirt, my black go-to toothpick jeans that I love and my gray ankle booties for date night! 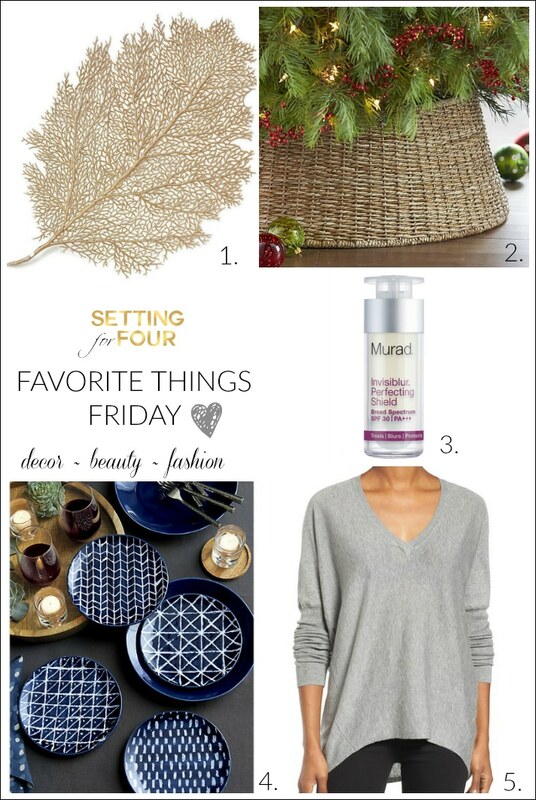 So those are my top 5 Favorite Things Friday! I hope you all have a beautiful, fabulous, fun and restful weekend! I love the Christmas tree collar!! I’ve never seen one of this before but it’s perfect for hiding the scraggly branches at the bottom of most trees and it just looks fantastic!! Great choice! Where can i purchase the same Christmas tree collar?